An ampoule lifting of immediate action, with powerful tensor and firming effect that redefines the face and eliminates traces of fatigue in the skin. Your skin tone can reflect many things, among them, accumulated tiredness. 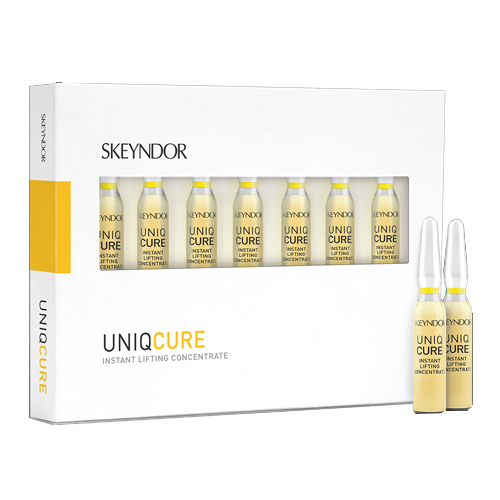 Instant Lifting Concentrate is the new instant lifting action ampoule from Skeyndor. It works a powerful firming and tensing effect, for firmer skin without signs of tiredness and redefined facial contours. With this concentrate, you will achieve more uniform and longer-lasting makeup. Recommended for skin which is slack or has a tired appearance. • Instant action facelift ampoule. • Instant flash of beauty.